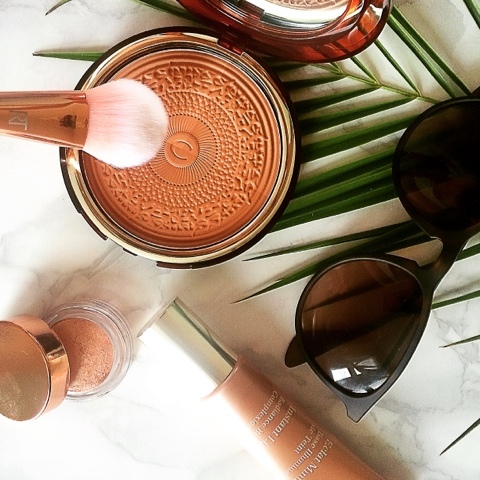 Diving into the collection we first have the instant light radiance boosting complexion base. 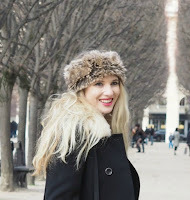 ‘Apricot’ is best for fairer skin tones like mine and use ‘Golden Caramel’ for a more tanned look. 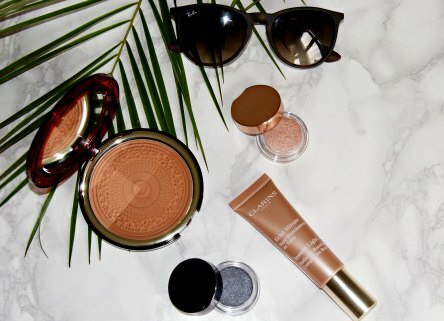 These can be used under foundations, on their own for a touch of radiance or mix with foundation - I used it for to add a little more tan to my pale skin. 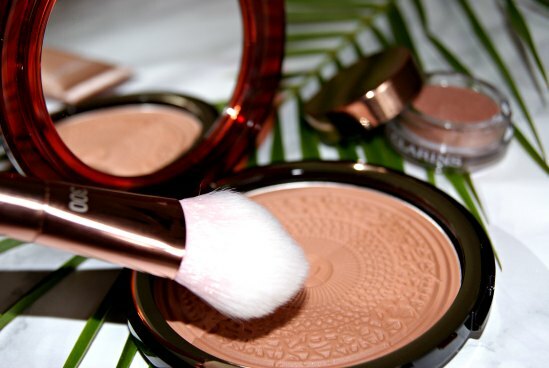 Using my real techniques blusher brush I tried the limited edition Clarinssummer bronzer which has become a permanent staple in my makeup bag. 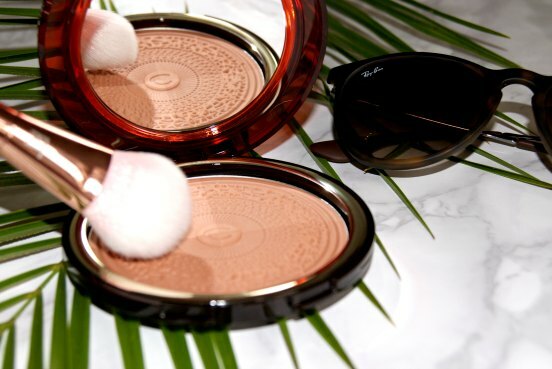 You definitely feel like you are getting your money's worth as this Clarins bronzing compact is huge and you can see the different shades on the palette to create either a sun-kissed glow to a more bronzed look. 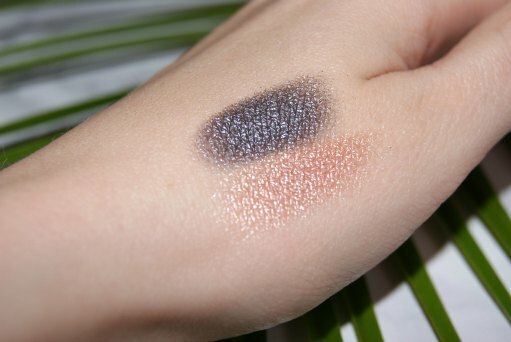 Another part of the Clarins makeup collection is the iridescent eyeshadow in Aquatic Grey and Aquatic Rose. These summer inspired eyeshadows are cream-to-powder for a beautiful texture that blends with your natural skin tones. Remember if you plan your purchase carefully you could be entitled to a Clarins free gift and they are usually pretty spectacular. The full collection can be found here and starts from £19. Also in the pictures are my new beautiful Ray Bans from Shade Station.